Wow! Now we're seeing some changes! 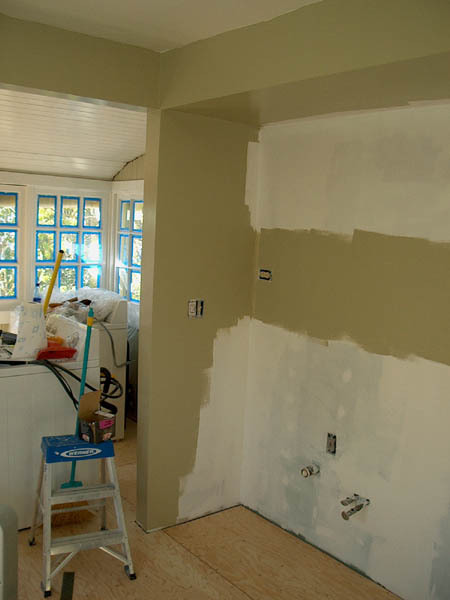 On Saturday we put on the final coats of paint (aside from some touch-up work), put down the 1/4" plywood floor underlayment and even started on hanging cabinets! Rich again helped us by laying in with the screw gun. 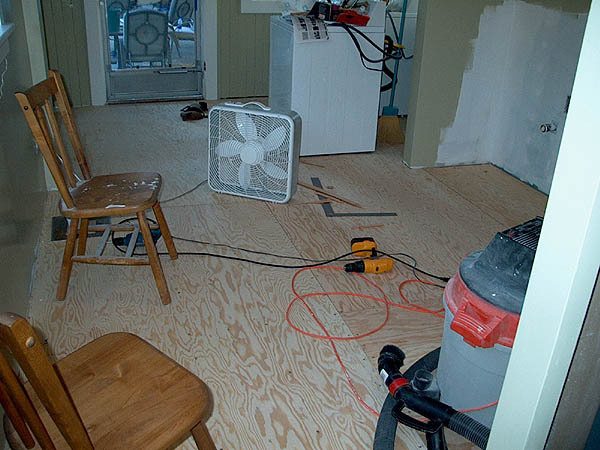 The plywood is meant to provide a clean, stable surface for the new vinyl tile. 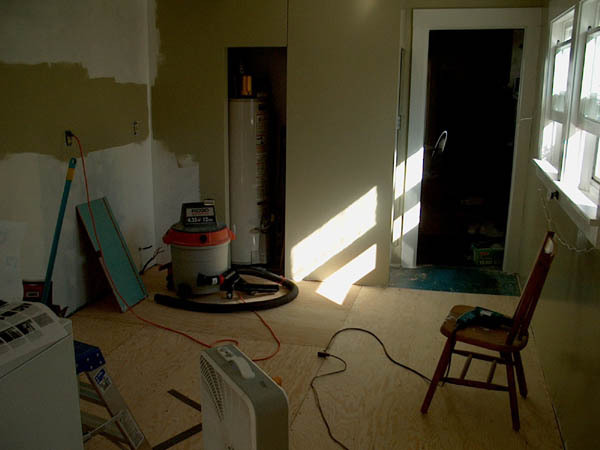 Heck, even now it looks better than the old linoleum! 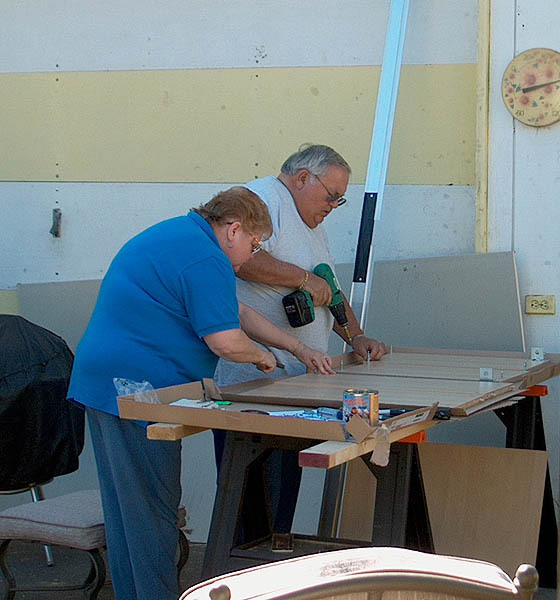 On Sunday, Rob's Mom & Dad (Lin and Ron) came over and helped Francie assemble the cabinet bodies. 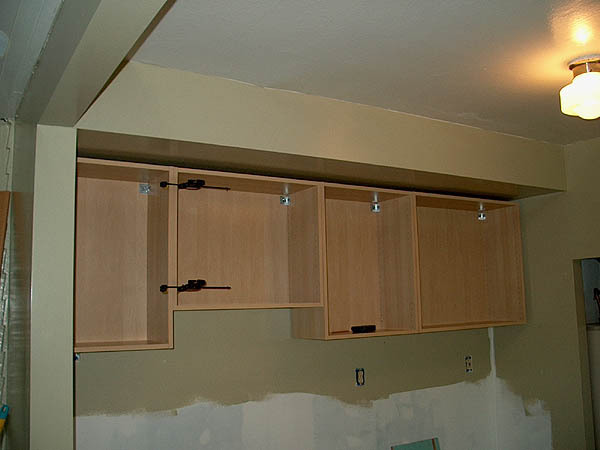 They put together all of the wall cabinets so we could get the line of main cabinets hung on the walls! This is really starting to come together! With a little luck (and some evening work this week), we hope to have the room assembled and functional again after one more long weekend of work. That darn sunlight messes up the exposure! This pic really shows how the room colors work together. 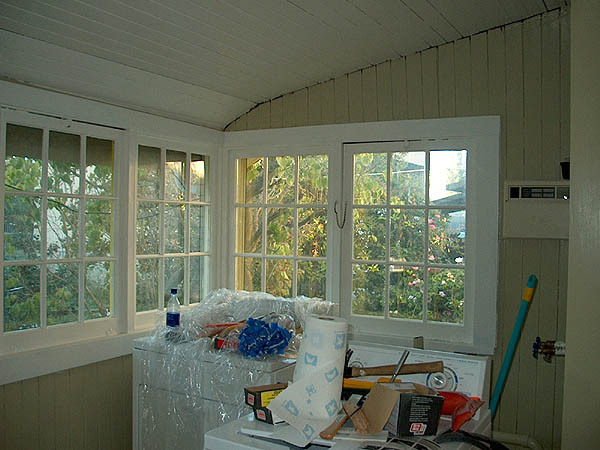 The ceiling and window trim are just-barely-off-white and the walls are a nice, well, beige with green tint? Something like that. Looks nice, though, huh? Is this a decorating statement? No, just a surface for vinyl. Lin and Ron building cabinet bodies. 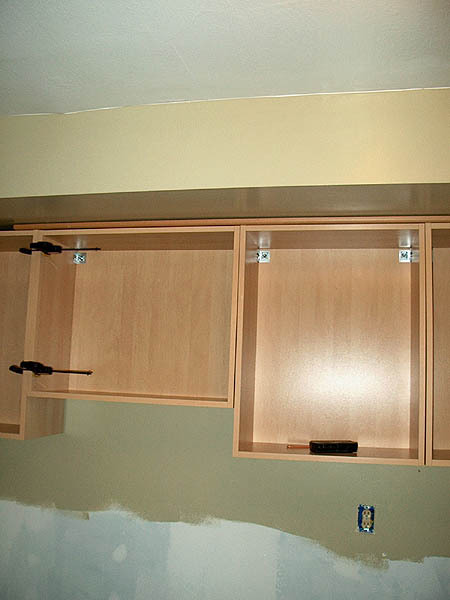 The main line of wall cabinets are up. Here they need a little tweeking and some trim bits (at the side walls and the soffit). 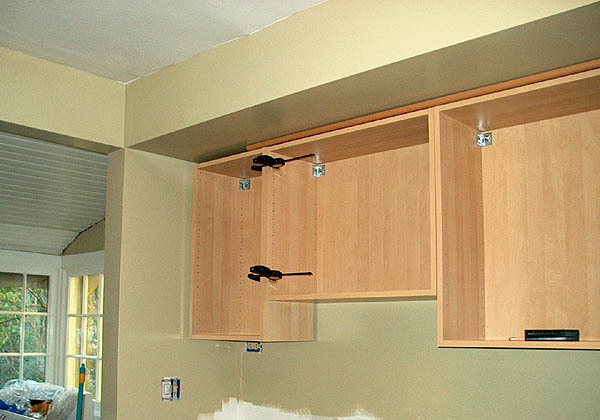 The short one (left-center) is above the sink to give a little extra head room. Can you see the round trim at the top? This piece will help give them the look of unity and add some visual detail. It's the color of the cabinet doors, too.